Radio Systems has for many years been a prime contractor at both Heathrow and Gatwick airports for ground operations radio systems and has been responsible for much of the design. Where operational areas such as these consist of a mix of airfield and the inside of numerous buildings, the challenge is to provide radio coverage for both, when steel, concrete and brick can attenuate signals to the point of not being usable. In these scenarios, bidirectional amplifiers are required to boost signals between outside and inside devices in multiple locations, e.g. multi-storey buildings. 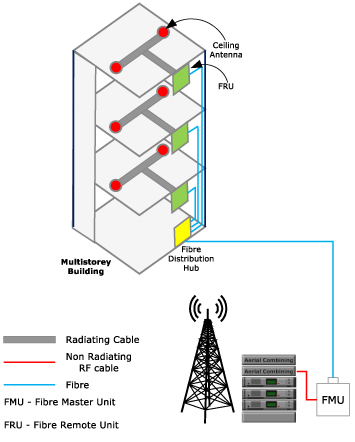 The method of doing this is known as Distributed Antenna Systems (DAS) and preferred connectivity between main radio sites and inside amplifiers or enhancers is via fibre, giving the term RF over Fibre. Where a single confined inside area needs to be covered, a single inside antenna might suffice. 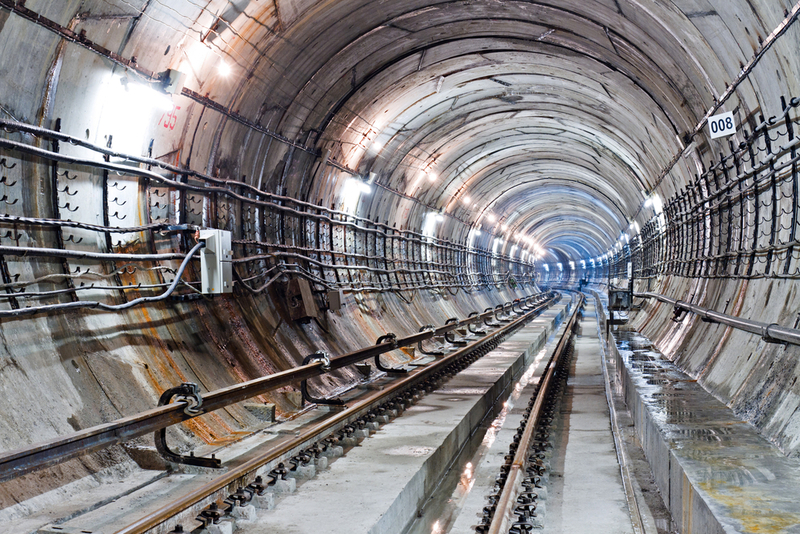 Where inside areas consist of a number of rooms, corridors or multiple levels, then accurately designed placement of radiating cable or leaky feeder provides a solution. In effect, when properly designed the cable will act as an antenna throughout its length and routed area.